As Idaho’s teacher shortage continues, school districts and charter schools are being forced to improvise. They are hiring more and more professionals with no teaching experience or college graduates who didn’t major in education. They are moving some veteran teachers into new subjects and disciplines to fill holes. The numbers put this change into focus. In 2016-17, nearly 4.9 percent of Idaho teachers entered the classroom through some form of alternative authorization — up from 2.7 percent in 2013-14. Education leaders don’t necessarily agree on the cause, or the solution. But they agree on one point. The alternative authorization numbers aren’t going to drop anytime soon. The bulk of Idaho’s 19,000 teachers followed a more or less traditional career path. They attended a college of education, received their degree and received a teaching degree. 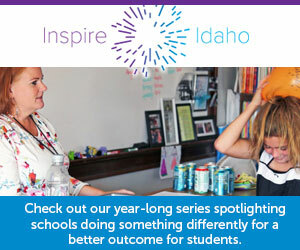 But based on the most recent state data, more than 900 Idaho teachers took a non-traditional route to the classroom. The most common course is hiring a “content specialist” — a professional looking to move into teaching. For example, a district might hire a chemist to take a hard-to-fill chemistry teacher’s job. Schools hired 403 “content specialists” in 2016-17, up from just 39 three years earlier. Idaho schools hired 223 teachers through the American Board for Certification of Teacher Excellence, a nonprofit that allows college graduates to seek online certification. This too is a growth area; in 2013-14, Idaho hired only 95 ABCTE teachers. Another 253 teachers have an authorization known as “teacher to new.” This allows a certified teacher to switch into a new subject without a teaching endorsement. For example, this might allow a teacher to move into a vacancy in one of the high-demand STEM disciplines: science, technology, engineering and math. The Teach for America program accounted for only 12 alternative teacher hires. TFA places college graduates in high-poverty schools for two-year assignments, after graduates receive five weeks of training. Despite these low numbers, TFA’s Idaho rollout has sparked backlash. All of the alternative pathways are borne out of grim necessity. Idaho schools are struggling to hire and keep qualified teachers — especially in high-demand fields such as STEM and special education. The struggle is especially acute in rural Idaho, where schools often lose teachers to higher-paying jobs in urban areas. An alternative hire isn’t necessarily a shot in the dark. The “teacher to new” teachers are taking on new subject matter, but they aren’t classroom novices. They understand the nuances of managing a classroom, said Kari Overall, president of the Idaho Education Association. And principals can improve their odds of making a good outside hire by looking for applicants with experience working with kids. As a former principal, Rob Winslow of the Idaho Association of School Administrators used to look for substitute teachers who had the potential to fill a permanent job. Ideally, he says, schools should hire content specialists with some teaching or coaching experience. As a result, alternative hires frequently work out. But any hire, especially an unconventional hire, involves risk. A content specialist can have a career’s worth of expertise, and a desire to work with kids. But the jump into teaching is still intimidating, Winslow said. And districts are gambling that their new hires will get certification within three years. If that doesn’t happen, these teachers would still have the legal protections that come with three years’ experience — and administrators would have a hard time letting them go. “Somewhere down the road, that could cause us some problems,” said Karen Echeverria, executive director of the Idaho School Boards Association. More schools are being forced to make non-traditional hires, even as Idaho is in the midst of a five-year, $250 million plan to boost teacher pay. The “career ladder” salary plan helps, education leaders say, but it only goes so far. For one thing, the career ladder can make it tougher for schools to hire teachers from out of state. The career ladder caps the amount of money the state will pay to cover a teaching position, so school administrators have to figure out where to shoehorn a new hire into the salary schedule — or find local dollars to sweeten a job offer. “You will get people thinking about Idaho, but the wage has to be somewhat competitive,” Winslow said. Then there’s a bigger question. Are colleges producing an adequate supply of new teachers? That’s a big part of the problem, say Winslow and Echeverria, and that isn’t going to change any time soon. Overall thinks there is more to the story. She points to Boise State University’s College of Education, where 90 percent of graduates move on to jobs in Idaho schools. The colleges are producing new teachers, she says. The problem comes a couple of years later, when rural districts try to hang on to teachers with some experience. She says the solution has to go beyond the career ladder. She’d like to rekindle the idea of a loan forgiveness program for rural teachers — which Democratic state Reps. Paulette Jordan of Plummer and Sally Toone of Gooding proposed during the 2017 legislative session. And she says the state needs to invest in professional development, which will help all teachers, whether they were hired by traditional or non-traditional routes. Both superintendent’s candidates say the complex licensing issue needs to be scrutinized. The committee is expected to take its recommendations for a new system of teacher licensure to the State Board of Education for consideration in October.